The US military's Strategic Command says it's tracking more than 250 pieces of debris from India's missile test. India expects space debris from its anti-satellite weapons launch to burn out in less than 45 days, the government's top defence scientist said on Thursday, seeking to allay global concern about fragments hitting objects. 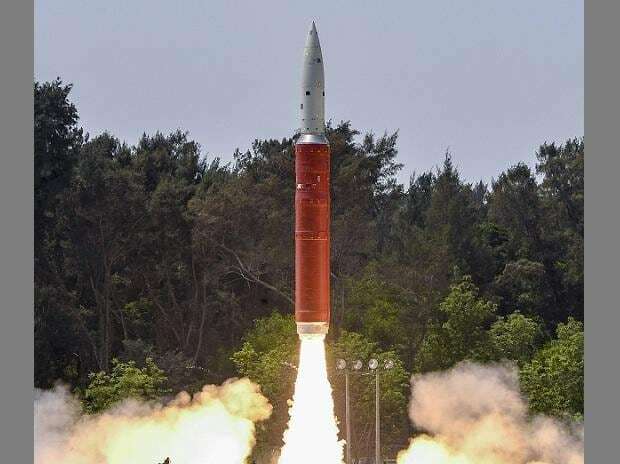 The comments came a day after Prime Minister Narendra Modi said it used an indigenously developed ballistic missile interceptor to destroy one of its own satellites at a height of 300 km, in a test aimed at boosting its defences in space. G. Satheesh Reddy, the chief of India's Defence Research and Development Organisation, said a low-altitude military satellite was picked for the test, to reduce the risk of debris left in space. "That's why we did it at lower altitude, it will vanish in no time," he told Reuters in an interview. "The debris is moving right now. How much debris, we are trying to work out, but our calculations are it should be dying down within 45 days." Because the impact altitude exceeded 800 km, many of the resulting scraps stayed in orbit. "Some of it could still be there," Reddy said, adding that India had been much more careful in conducting its test. In Florida, on a visit to the U.S. military's Southern Command, acting U.S. Defense Secretary Patrick Shanahan warned any nations contemplating similar anti-satellite weapons tests that they risked making a "mess" in space from debris. Reddy identified the military satellite shot down as Microsat R, weighing about 750 kg (1,653 lb) and launched on January 24. by the Indian Space Research Organisation for the purpose of the test. "The technology has been completely proven, we hit it with centimetres of accuracy, probably less than 10 cm," Reddy said. India's test of the anti-satellite weapon from an island off the Odisha coast broke a lull since the United States used a ship-launched SM-3 missile to destroy a defunct spy satellite in Operation Burnt Frost in 2008. The Union of Concerned Scientists said nearly 2,000 orbiting satellites provide key benefits to people around the world, and India's launch showed more countries were seeking the capabilities that put satellites at risk. "Destroying satellites...can have ripple effects, producing dangerous clouds of debris that could stay in orbit for decades or centuries, disabling or destroying any satellites they collide with," one of its scientists, Laura Grego, said in a statement.